How To Be A Friend by Marcus Tullius Cicero, translated by Philip Freeman, Princeton University Press, US$16.95. Books on relationship advice populate the self-help section in book stores. Some are based on real-life experience with quotes from famous people and many are inspired by How to Win Friends and Influence People, widely regarded as the book on the subject. Written by Dale Carnegie, and originally published in 1936, it has sold over 15 million copies worldwide. Well, get ready for the grand-daddy of all books in the genre. In How To Be A Friend, Philip Freeman offers a translation of the famous Roman philosopher and politician Cicero’s compelling guide to finding, keeping and appreciating friends. Filled with timeless advice, this classic has inspired readers for over 2000 years. The slim volume shows how to choose the right friends – and avoid the pitfalls of friendship; how to make new friends but keep the old; and how taking away respect from a friendship “takes away its most precious jewel”. There are insights on how bias creeps into our daily interactions in our multicultural societies: ...there is a bond between us all that grows stronger the closer we are to each other. Thus we prefer our fellow countrymen to foreigners, just as we prefer our relatives to strangers, since with these nature herself has produced a friendship of sorts. The reward of friendship, Cicero notes, is friendship itself. A book to be read, reflected upon, and shared with friends. All Things Consoled, by Elizabeth Hay, McClelland & Stewart, $32. I admire what it takes to tell a family story honestly, but I am not a fan of the genre. Specially when it involves details about people who have passed on or are too enfeebled to protest. Also, as a parent, I now see the other side. So when I read of a smear of butter in Elizabeth Hay’s parents’ fridge in All Things Consoled, I wonder if my kids will write about my reusing gift bags. Or when she describes awful cooking, I find myself saying but that’s what your mother ate too, she wasn’t subjecting you to jail house food. But to be fair, Hay doesn’t let herself off the hook, either. Something changed when I had kids myself. Then I met my own appetite for punishment and was appalled at myself, appalled at him in me. And as I read on I am swept away by what is ultimately a very tender story. Brutally honest, but sweet and wry. A window into a landscape that will be familiar to many who are caring for ageing parents. I was in dangerous personal territory, a fraught border country in which my parents were sliding into neediness and I was rising to power, yet losing my own life. Jean and Gordon Hay were a colourful, formidable pair. Jean, a late-blooming artist with a marvellous sense of humour, was superlatively frugal; nothing got wasted, not even maggoty soup. Gordon was a proud and ambitious school teacher with a terrifying temper and a deep streak of melancholy. Hay lays bare the exquisite agony of family dynamics. When her mother reflects that her father had a good life, “on the whole”, she is taken aback. Candour, specially when it comes out of the blue, clears away the empty cliches that stifle us, and enlarges the world. The Cause of Humanity and Other Stories, uncollected prose fiction of Rudyard Kipling, edited by Thomas Pinney, Cambridge University Press. This collection brings together stories that Rudyard Kipling himself, for various reasons, never reprinted in any of his authorized volumes. A treasure trove for Kipling’s fans and for anyone interested in fiction set in India during the British Raj – including those who recall his infamous defence of General Dyer. As Thomas Pinney reveals in the introduction, “many of the high officials visible to Kipling at Simla figure in the stories, very thinly disguised if at all’. There are delicious examples of “babu” English. Though, again, as Pinney points out, they may meet with disapproval in a politically correct age, one should keep in mind that the real object of his treatment is not the babu himself “but the authorities who have grafted an alien system of education on to an utterly unrelated tradition with predictably incongruous results”. Financial measures taken by the Indian government at the time also provide fodder to Kipling in The Rupaiyat of Omar Kal’vin, a poem written in 1886. The keeping of log books, life in Bombay, gossip, scandals, the weather, English ladies and local politics... There’s so much more to Kipling than Jungle Book that most of us read as children and that most of our children watched in the animated Disney offering. I Too Had A Love Story, by Ravinder Singh, Penguin, $16.99. When a multi-million copy Indian bestseller is described as “Simple, honest and touching,” by none other than N.R. Narayana Murthy – the first endorsement I have read from the founder of Infosys – it joins my list of must-reads. Ravinder Singh shares the unbelievable pain of losing the love of his live in this tender tale of love and loss. She died. I survived. Because I survived, I died every day. A Change of Heart, by Sonali Dev, Kensington Books, $16.95. Dr Nikhil ‘Nic’ Joshi had it all – marriage, career, purpose. Until, while working for Doctors Without Borders in a Mumbai slum, his wife Jen discovers a black market organ transplant ring and is killed before she can expose the truth. Two years later, he meets a woman who claims she received Jen’s heart in a transplant and has a message for him. 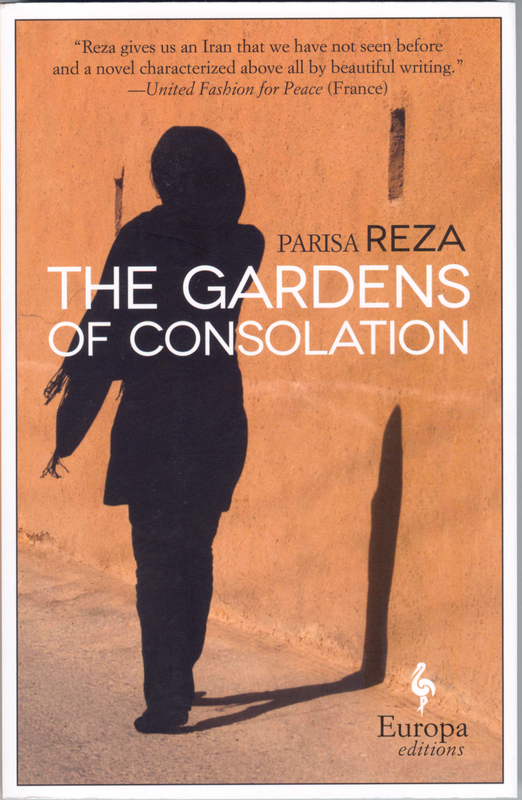 The Gardens of Consolation, by Parisa Reza, Europa, $22. In the early 1920s, Sardar, a confident young man who has faith in life, brings his young bride Talla, who expects misfortune to appear every day, with him across the mountains to the suburbs of Tehran. They build a home and a life together, watching history unfold as the Qajar dynasty falls and Reza Khan rises to power as Reza Shah Pahlavi. Where’s Waldo? by Martin Handford, Candlewick Press, $19.99. Search for Waldo in outer space, underwater, in caves and even in Hollywood! This fun book takes looking for Waldo to a whole new level with a magic spotlight searcher that illuminates shadowy scenes. Alexis Agas’s Teen Review of The Heir, by Kiera Cass, Harper teen, $11.33. The Heir by Kiera Cass is a dramatic telling of the competition to win the royal heir’s heart. It is the fourth book in The Selection series of Princess Eadlyn’s parents’ story and is full of highs and lows, optimism and pessimism, moments of blossoming young love and devastating heartbreak. Princess Eadlyn was born heir to the throne of Illéa. She strived for success and believed that any man would only drag her down. When her parents decide to hold a Selection she first protests passionately. She does not want to date thirty-five men and then choose one to marry. She thought the idea was absurd. But as she learns more and more about what her father, the King, did to settle the post-caste discord of the country, she knows she would do anything to help her tired father. So, after some negotiation she agrees to the Selection. In a society corrupt with discriminatory acts of hate, past foes and feuds, she tries to manage her coming of age, her coronation, and choosing an eligible prince consort to rule by her side. A once cold princess determined to turn away all suitors experiences new emotions which causes some doubt to form – maybe love wasn’t so bad after all. Cass does a brilliant job expressing the clash between Princess Eadlyn’s almost complete isolation of her heart and finding true love. Princess Eadlyn’s battles of head versus heart and battles for her heart make an excellent read. • Alexis Agas is a grade 9 student and a member of Brampton Library’s Teen Library Council.